Bolton on Putin summit: Trump believes "it was time to have this kind of meeting"
National Security Adviser John Bolton says that a meeting between President Trump and Russian President Vladmir Putin set to take place isn't "unusual" despite clear concerns about the leaders' relationship amid ongoing probes into Russian influence in the 2016 presidential election. An aide to Putin first confirmed that Washington and Moscow had settled on a date and venue for the meeting, and that details would be announced in a joint statement Thursday. "I don't think it's any unusual for President Trump and President Putin to meet," Bolton told reporters at a press conference in Moscow. He added, "President Trump believes so strongly that it was time to have this kind of meeting and as you can see, President Putin agreed." 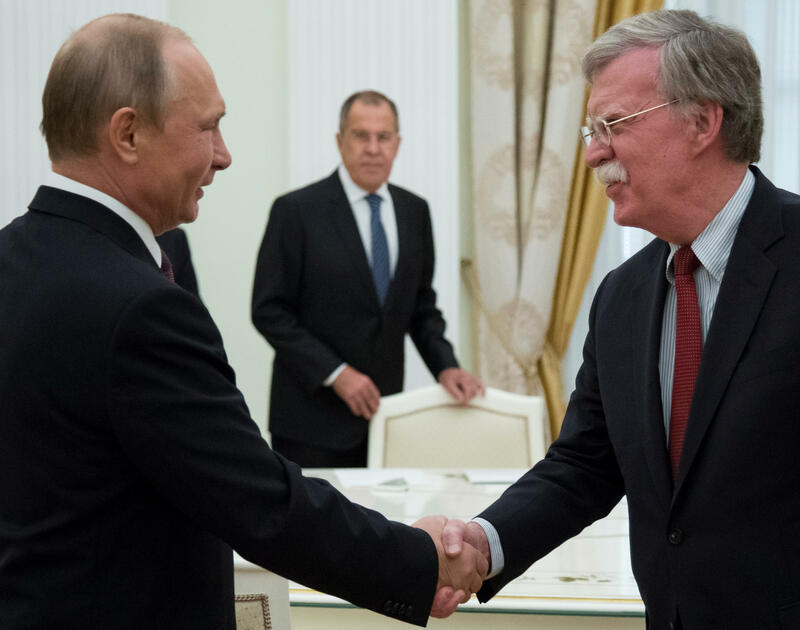 As for concerns of how the meeting with a controversial figure such as Putin would play back at home, Bolton said, "I think the president recognizes that there may be some criticism of this decision to have the meeting, but what must guide his conduct of American foreign policy is his pursuit of American national interests." Putin aide Yuri Ushakov told reporters that the summit is expected to take place mid-day and will last "several hours." In addition to a one-on-one meeting, there may also be a protocol event, a working breakfast and joint news conference, Ushakov said after meetings between Bolton and Russian officials. Ushakov said the issue of alleged Russian meddling in the 2016 U.S. presidential election was raised during the initial meeting. Bolton meanwhile told reporters he "expects it will be a subject of conversation between the two presidents." The Kremlin, however, reiterated its denial of any interference with the election. "It was stated clearly by our side that the Russian state hasn't interfered with the U.S. domestic politics, moreover hasn't interfered in the 2016 election," Ushakov said. After the meeting, Putin and Mr. Trump may adopt a joint statement on international security issues, including "improving bilateral relations, both in terms of joint actions in the international arena and in terms of ensuring international stability and security," Ushakov said. "The purpose today was not to reach any conclusion, but to help lay the basis for the conversation between the two presidents," added Bolton. "I don't think we expect, necessarily, specific outcomes or decisions" from the meeting, he said. As for locations, Ushakov said that "a very convenient place has been chosen for us and for the American side." Austria previously offered to host the summit in Vienna. Some media reports have mentioned Finland's capital, Helsinki, as a possible venue. The discussions touched on the state of bilateral ties, nuclear arms control, the situation in Syria, the Ukrainian crisis, developments around North Korea and the U.S. exit from the Iranian nuclear deal -- topics Ushakov said would shape the summit agenda. Ushakov wouldn't comment on what Russia expects from the summit, but voiced hope it would give a "strong impulse" to normalize U.S.-Russia relations and would be "this summer's most important international event."